The 2003 Florida Marlins defeated the New York Yankees in six games to win the World Series, giving the Yankees their second consecutive Series loss. 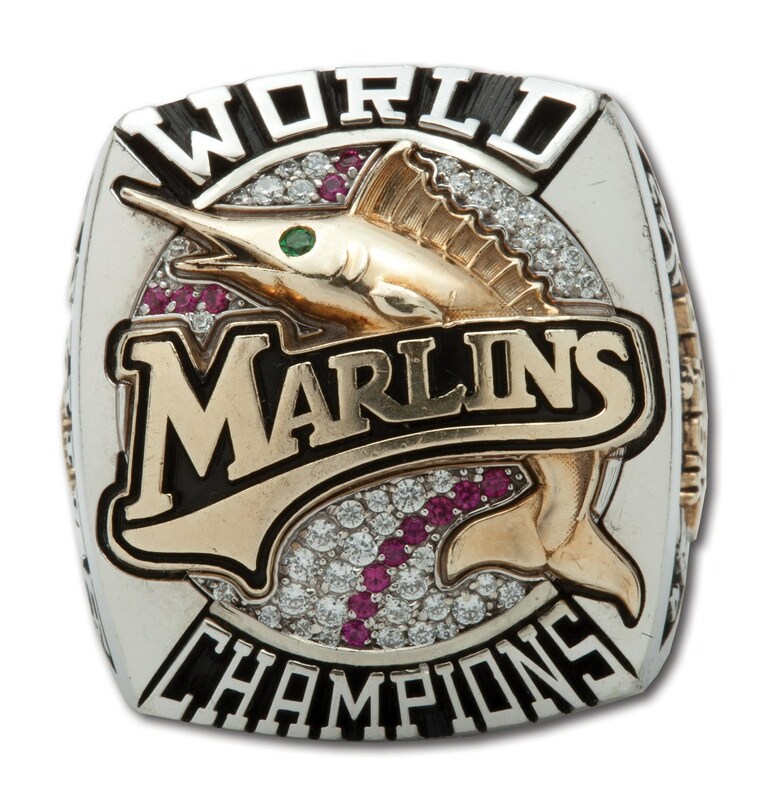 For their winning ways, the Marlins were issued these very impressive rings. 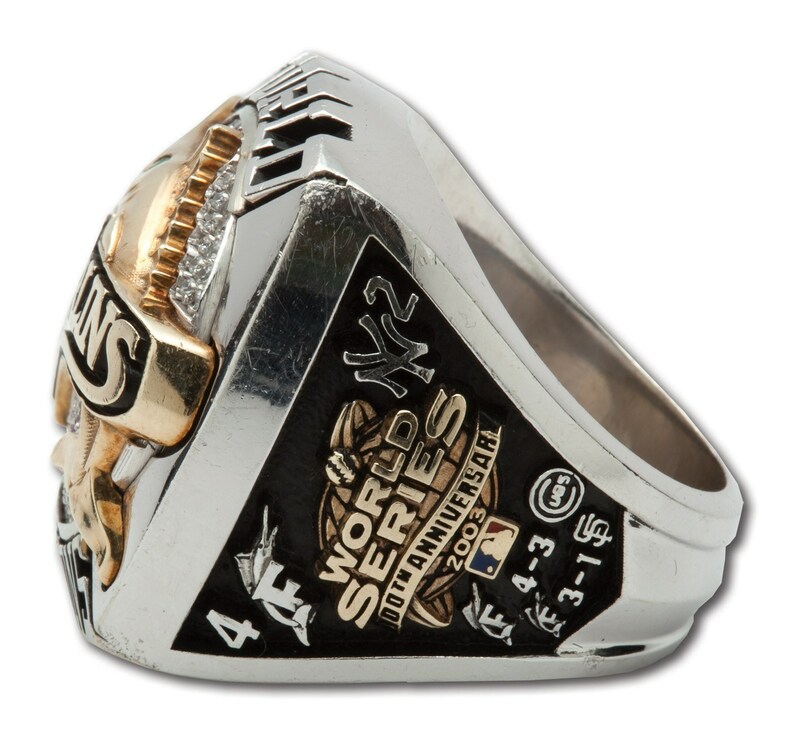 At the time, the 2003 Marlins ring was the largest World Series ring ever produced, the player versions weighing an astounding 106 grams. 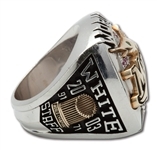 This 10-karat gold ring presented to the team chef contains many small CZ stones plus 14 colored gemstones adorning the top. This provides a base for the Marlin fish, with the words “MARLINS WORLD CHAMPIONS.” The left shank reads "World Series - 100th Anniversary - 2003" and features the Major League Baseball logo. Also displayed on that side are the team logos of both the Marlins and their post season opponents as well as the series score in games. The right shank features a highly detailed depiction of the Championship Trophy and lists the year "2003” and the team's regular season record "91-71” plus the name “WHITE” and “STAFF”. 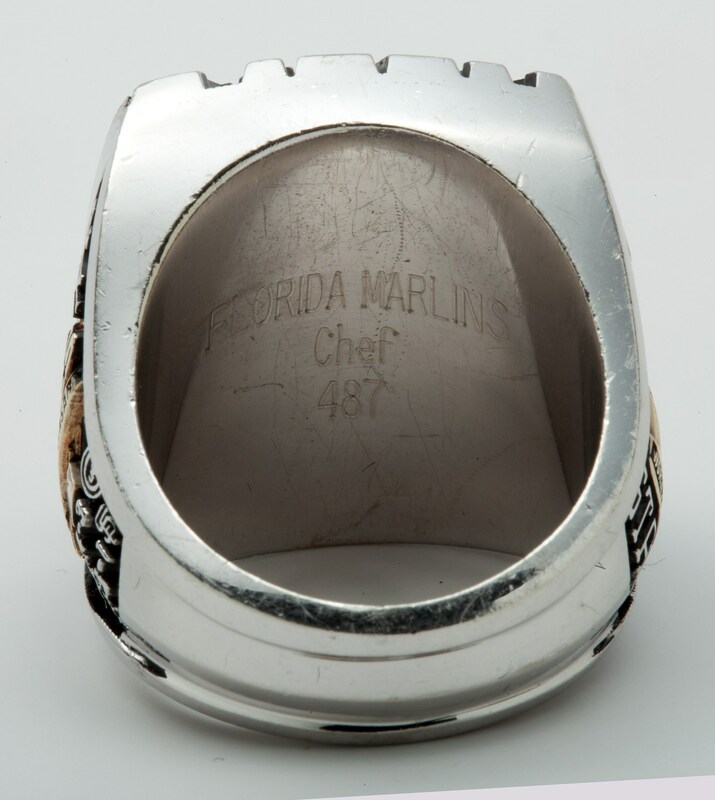 Along the interior of the band is "Intergold" and "10K" plus “FLORIDA MARLINS CHEF 487.” Size 13; 58 grams.